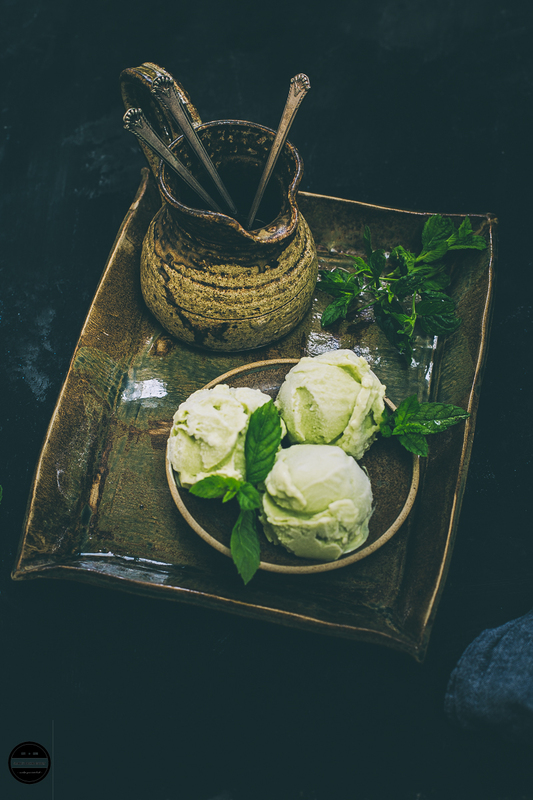 How to make Avocado Gelato | Avocado Gelato is a perfect summer dessert and treat that is bursting with flavours of avocado. It is eggless, rich and deliciously ultra smooth. It is so easy to make, with minimal ingredients. Well, you might want to call it AVOLATO! This year we are facing HOTTEST summer ever, and I'm telling you this heat is ridiculous. For any Brits, 30C on holiday is amazing, 30C in UK is unbearable, us British we're not built for this weather. Since beast from the east left us, temperatures keep rising. As soon as I wake up and feel the heat, or put my foot in the garden feels like I am in Italy, not in London. For me it is far too hot to do anything, except just relaxing on the sofa with the fan on and indulging in some chilled or frozen treats! Our menu is filled with more fruits, salads and healthy drinks.. continuously homemade yogurt is being made twice in a day and making Chaas (Spiced buttermilk-yogurt drink) to keep ourselves hydrated, never seen so many watermelons being used in my kitchen and occasionally treating ourselves with Ice creams and Faluda. Because of warmer weather, some of the fruits and vegetables are abundantly available and very inexpensive too, such as mango, pineapple, peach and avocado! We have been binging on avocados, per day between four people almost 8-10 avocados easily finish..at one time I had almost 2 dozens of avocado sitting on my worktop, because of warm weather they were ripening so quickly that I had to make a decision to use them, so settled with Avocado gelato. On our recent trip to Lake Como, Italy we gorged on gelato. A trip to Italy without gelato is not complete. On every corner, we found Gelateria. I was amazed to see so many flavours, and in 3 days I almost tried ten flavours, for me Mango, Coconut with passionfruit were winners. Taking inspiration from Italy's gelato, I decided to make Avocado gelato. We couldn't believe how amazing it turned out, the creamiest ice cream ever, if I have to describe in one word it has to be phenomenal, surely this gelato is not on a healthy side just because there is an avocado in there, it's sheer indulgence! As I said above we are having sweltering English summer, there was no other way to keep this gelato in a good shape for pictures, so a couple of quick clicks for you guys. I totally take the blame for not taking good pictures, in fact, it nowhere does justice to the yummiest gelato that is there in that bowl. I have used an ice cream machine to make this recipe. Freeze your ice cream maker according to manufacturer instructions. Place it in the blender and squeeze the lime juice. Add condensed milk, and full fat milk and blend again. Add vanilla extract and pulse once more. Transfer the mixture in a big container or bowl then add cream and whisk and mix well. Wrap the container with the cling film and leave it to chill in the refrigerator for at least 3 hours. Once ready to churn the gelato, bring out the ice cream maker and pour all the avocado mixture into the maker. Start churning at a low speed for not more than 15-20 minutes. Transfer the mixture into the container and freeze it. Once it gets harden, serve. Even i indulged a huge gelato during my travel to Italy, absolutely you cant leave Italy without enjoying a gelato. 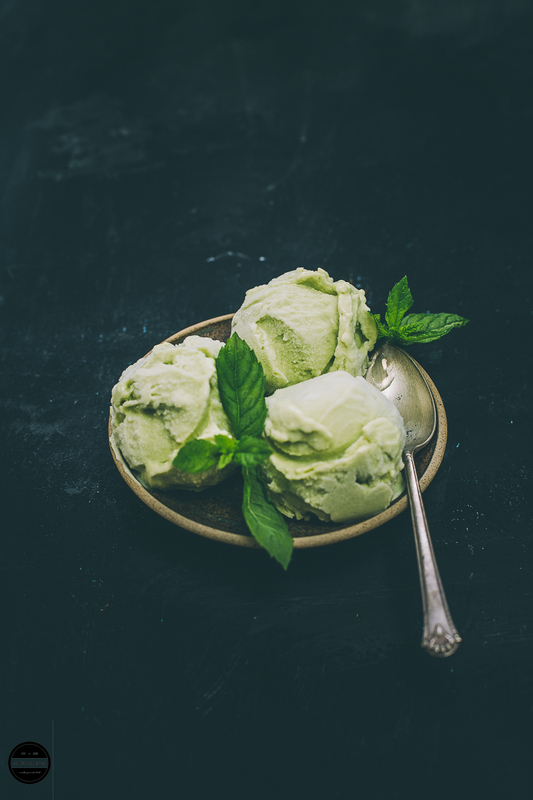 Avocado gelato looks absolutely smooth and luscious. Wish i get few scoops rite now. Gelato my favorite and your presentation is superb . I just want to have it now . Beautiful share. The dessert looks absolutely delish Jagruti..and i adire your photograpghy..we do not get avacado here at my place..but would love to definitely try this gelato once I get hold of them. Avocado gelato never tasted one, but looks so good, feel like taking a spoonful. It was so delicious Jaya :) You must try it. The gelato looks super creamy and just yum. The color is beautiful and so is your simple presentation. 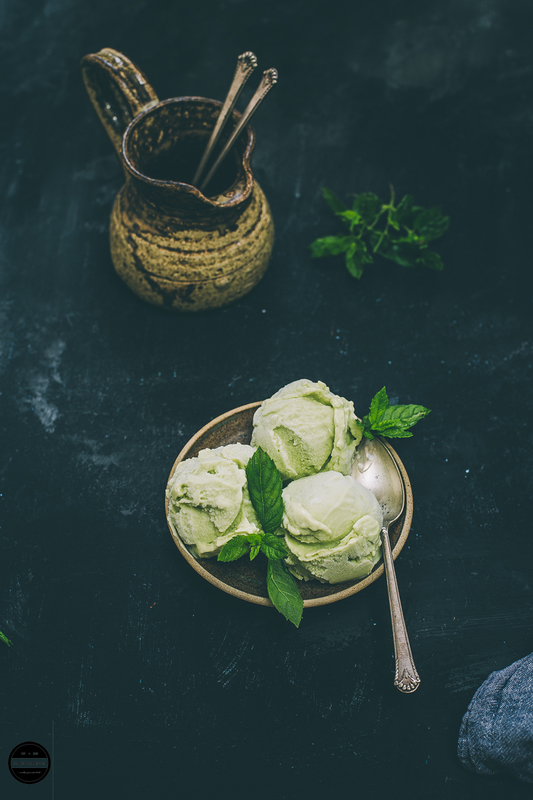 I love avocado, Looks exciting to make this avocado gelato,must be creamy and delicious. Lovely green color has come out. Wow jagruti, that looks tempting! What a delicious way to enjoy summer! Love the wonderful texture of the Gelato, looks perfect! Stunning and beautiful dessert! I love anything that made with Avocados! Yummy! Avocado is one of the fruits which has the satisfying nature to me. Am so happy to see the brilliant collection of avocado recipes,Jagruthi. I am eyeing the pesto too so badly want some.